It’s not just young people who are taking advantage of the sharing economy. A Burson-Marsteller survey on the sharing economy found that 28 percent of those ages 50 an older have used a sharing economy service. That includes everything from escorted rides to living with roommates, and pet sitting in homes abroad in exchange for a place to stay. The sharing economy is expected to be a $335-billion industry by 2025, and its already a part of the lives of many older Americans. A PWC report found that 24 percent of those ages 55 and older are providers in the sector. Historically, there was a focus on those under 35 driving growth, “but this is primed for looking at an aging population which needs access to specific services. You can make additional income by joining one of the sharing economy platforms or you could start your own,” said Matt Hobbs, an author of PWC’s report. The sharing economy provides older Americans with much needed income, achieved through a flexible schedule. At the same time, it satisfies a crucial need for older Americans — a group faced with dwindling retirement resources — said Mary Furlong, a consultant to businesses and an executive professor of Entrepreneurship at The Leavey School of Business at Santa Clara University in Santa Clara, California. However, Rowan Benecke, Burson-Marsteller global technology practice chair, said only 20 percent of those surveyed ages 60 and older were even familiar with the term sharing economy. “If you’re going to differentiate yourself, you need to be able to really build brand awareness,” he said. The following are eight businesses that are tapping into the growing interest in the sharing economy among older Americans, as both a source of assistance and potential income in retirement. Chefs for Seniors was founded in 2013 in Madison, Wisconsin by Barrett Allman, a professional chef, age 48, and his son, Nathan Allman, age 22. The idea was conceived after Barrett’s wife’s grandmother was forced to move to assisted living when she could no longer cook. He realized that food needs are the most common reasons for seniors being forced to leave their homes. This service brings chefs to the homes of seniors, where they cook 10 servings of meals in two hours, leaving enough to last for the week. Clients select the menu and the chef brings all needed groceries and equipment and cleans the kitchen before they leave. 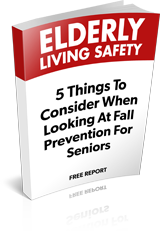 “It is shocking how many older adults don’t have proper nutrition. As a chef, I have the ability to help solve that problem. We provide social nourishment in addition to healthy meals,” said Barrett. Chefs for Seniors now has 120 clients, and recently expanded to other states. Some of the chefs are retired and use this service to earn extra money. Funding: The business was self-funded with limited funds by the CEO and co-founders until this spring. They’re currently raising a seed round of $750,000. The first $125,000 was provided by 500 Startups, the largest seed investor in the world. Toews said she expects to expect to raise another $625 000 over the summer from angel groups and several other seed investors. Launched in 2014 in Bowie, Maryland, the idea for Golden Girls Network came to founder Bonnie Moore, age 71, after she got divorced and ended up with a five bedroom home she wanted to keep. The only way to do that was to get roommates. “I realized there were lots of other women like us,” Moore said. Older women are finding themselves unexpectedly divorced, left with a house they cannot afford, or they’re forced to sell their home and need a reasonably priced place to live, Moore said. Operating like Airbnb meets Match.com, those looking for roommates and those providing housing can find each other on her site. The fee is $39 for a six-month membership, and nearly 2,000 people in 48 states are registered customers. The Golden Girls Network evokes the once-popular television show of the same name about senior women living together. While men are welcome to join, 75 percent of the users are women, and most over 50. Funding: Moore invested $100,000 of her own money and is considering seeking outside funding to allow the business to grow. Roommates4Boomers was founded by 65 year-old Karen Venable in Portland, Oregon, after she had a positive home-sharing experience after her divorce. She realized there was a growing need among boomers for post-retirement housing. The roommate-matching site went live in April 2015. The goal is to find a safe and economical place for women over 50 to live with people of similar values and lifestyles. Ideally, to increase housing availability and lower costs for this growing demographic. Venable said there’s a big market opportunity for the many boomers who want to remain in their homes.”The majority of these women have not saved enough for retirement; many are single, divorced or widowed” and they crave a lack of community, companionship and security, she said. Most rents range between $400 a month and $1,000 a month, depending on the city. The service is available in every state except North Dakota and Montana and there are over 1,900 members. Funding: Venable and co-founder Ken Bates have invested $150,000 and will be seeking venture funding this fall. Another elder roommate matching service, Silvernest, formally launched in October 2015 in Boulder, Colorado to meet the needs of adults ages 50 and older who are challenged financially but have a house. CEO and co-founder Wendi Burkhardt said that the majority of the targeted population earn less than $60,000 annually, and have less than $50,000 in retirement savings. It matches those needing a roommate with those who have a room to share. Silvernest housemates pay an average of $707 monthly. As of May 2016, Silvernest had 2,000 members from 18 states, and 226 actual move-in matches. The average monthly growth rate is 40 percent. “The aging sector is ripe for technology innovation. The marketplace for aging-in-place technology is estimated to eclipse $30 billion by 2030,” Burkhardt said. Funding: Silvernest is closing its seed funding round with plans to follow with Series A in the coming year. It was previously self-funded by the founders. U.K.-based TrustedHousesitters launched in 2010, the brainchild of Andy Peck and Rachel Martin. Peck discovered the concept while caring for pets while he was convalescing following a near death experience. He realized that pet owners globally face the issue of finding someone to care for their pet while they’re away. In exchange for caring for the pets, the pet sitters stay in the person’s residence for free.Though this business isn’t specifically geared to older Americans, 70 percent of customers are boomers. Customers pay an annual subscription of $99, which gives them annual access to pet-sitting services when going away, and sitters the opportunity to apply for all house sits which register on the site in a location of interest. There are 57,000 paid members in over 140 countries. Business growth has been 70 percent a year for the past five years. Trusted Housesitters is now gearing up to branch out aggressively into the U.S., its fastest growing market. Funding: Martin and Peck invested approximately $100,000 of their own money. They also had friends and family contribute to an angel round that raised roughly $250,000. The company has been funding its own growth outside of this through revenue. A version of Uber targeted toward seniors, privately held SilverRide was launched in 2007, and provides rides to older people in the San Francisco Bay Area who need extra assistance. The service works by having the senior, a family member, or a professional contact us to set up a ride via email, Web or phone. Drivers trained by physical therapists physically assist riders. Co-founder and CEO Jeff Maltz said that 38.7 percent of those over 65 in the U.S., over 15 million people, have at least one serious disability that prevents them from using standard transit services without assistance, which represents what he said was an $11-billion market opportunity. The new model enables SilverRide to service more suburban and even rural areas more easily, allowing them to pass on cost savings to their clients. The company wouldn’t disclose annual revenue, but Maltz said it’s been profitable the last two years, and that rides have increased about 20 percent each year. Funding: Maltz and his former business partner invested $400,000. The company will be closing a financing round in the third quarter to expand to many more locations. A senior business in its own right as opposed to a sharing economy start-up, Seniors Helping Seniors, a private company based in Reading, Pennsylvania, launched in 1998. It was founded by Philip W.S. Yocom and his wife, Kiran Yocum. As someone who spent his career building franchise companies, Yocom became intrigued by the aging demographic and what it could mean from a business perspective. The goal of the business is to help seniors live independently in their own homes with dignity and respect. The “senior sharing” key — and senior income opportunity — is that the in-home care service matches seniors who want to provide help with seniors who are in need of it. Hourly fees for the services, which include companionship, light housekeeping and gardening, range from $16 to $30. The business started franchising in 2006; there are now over 250 franchise partners in 40 states, England and Malta. The company has been profitable since its first year and revenues exceeded $4 million in 2015. It’s been adding between 20 and 25 franchise partners a year, and a franchise costs $45,000. Yocom said the company is now beginning to expand widely to international markets targeting India, Canada and Mexico initially, with a goal of doubling its number of $1,000,000 franchise partners this year. Funding: The Yocons invested $500,000 of their own money and it’s been profitable ever since. This business, recently launched in Mountain View, California (Alphabet/Google’s home turf), was started by Justin Boogaard and David Lung—both of whom lived with their grandmothers. After Boogaard’s grandmother told him she was afraid of driving at night, she told him to start a business that wouldn’t require an app. So GoGoGrandparent works the old fashioned way: by dialing a phone and requesting a ride. The service finds the cheapest form of transport available at the time of the call, which could be Uber or Lyft. If a higher level of service is required, it would send out a specialized business, like Silverride. There’s no charge for using the service. Instead, a fee is charged to vendors referred from the service. Boogaard said the self-service concierge is more accurate than a human and can handle hundreds of calls a day. “We are still cutting our teeth on this market. The response from people we’ve had up to this point tells us we’re well on our way to making something great,” Boogard said. Funding: The business is self-funded with roughly $20,000 that the founders earned through another business they previously started.